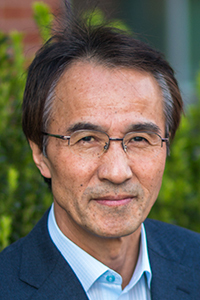 Kyu Ho Youm joined the School of Journalism and Communication in 2002 as the inaugural holder of the Jonathan Marshall First Amendment Chair. As a prolific communication law scholar, he has published a number of book chapters and research articles in a wide range of leading journalism and law journals. Youm’s law journal articles on freedom of expression have been cited by U.S. and foreign courts, including the House of Lords in Great Britain, the High Court of Australia, the Supreme Court of Canada, and the Supreme Court of the Philippines. His media law research has been used by U.S. and international lawyers in representing their clients in press freedom litigation. Additionally, he has been quoted by a number of international and American news media, including the New York Times, on freedom of expression issues in the U.S. and abroad. A member of the Communication Law Writers Group, Youm has been involved in writing Communication and the Law, a major media law textbook in the United States. He has also contributed to Media, Advertising, and Entertainment Law Throughout the World. A native of South Korea, he has authored several books on Korean and U.S. media law. Youm was honored as the recipient of the Guido H. Stempel III Award for Journalism and Mass Communication at the Ohio University E.W. Scripps School of Journalism, as the Wee Kim Wee Visiting Professor at the Wee Kim Wee School of Communication and Information in Nanyang Technological University in Singapore, and as the distinguished global speaker of Yonsei University’s BK21Plus program in Seoul, South Korea. "The Global Influence of the United States on Freedom of Information," in TROUBLING TRANSPARENCY: THE HISTORY AND FUTURE OF FREEDOM OF INFORAMTION, ed. David E. Pozen & Michael Schudson (2108) 249-68 (with Toby Mendel). MEDIA LAW AND ETHICS, 5th ed. (2018) (with Roy Moore et al.). KOREAN COMMUNICATION, MEDIA, AND CULTURE: AN ANNOTATED BIBLIOGRAPHY (2018) (co-edited with Nojin Kwak). "Defamation," in COMMUNICATION AND THE LAW, ed. W. Wat Hopkins (2019). International and Comparative Media Law. Public Relations and Advertising Law.